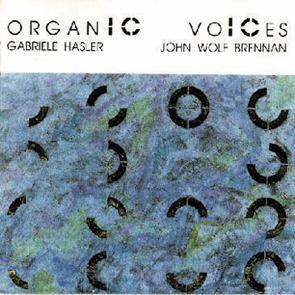 Outstanding German jazz singer Gabriele Hasler and Irish born pianist residing in Switzerland John Wolf Brennan present the voice of the church organ and the organ of the voice - meditation, playful exploring, reflective, balancing and tumultuous eraptions. Highly original work of 12 compositions to their and someone else's lyrics. Liner notes by Dr. Bert Noglik in two languages. Duration 66'54.